“Confucius say woman who cooks carrots and peas [sic pees] in the same pot very unsanitary”. Is it still okay to tell Confucius jokes? I don’t even know. Regardless, gross. It’s not just the pronunciation of pecan that is a point of contention, but how to consume the pecan, as well. My husband prefers the classic: that ooey, gooey, sickeningly sweet southern tradition of the Pecan Pie. My teeth hurt just thinking about it. Drenched in syrups and sugars, I don’t understand why the pecans are even a part of the Pecan Pie. Packing peanuts would serve the same texture-adding purpose. Myself, I like a lighter touch with my pecans. 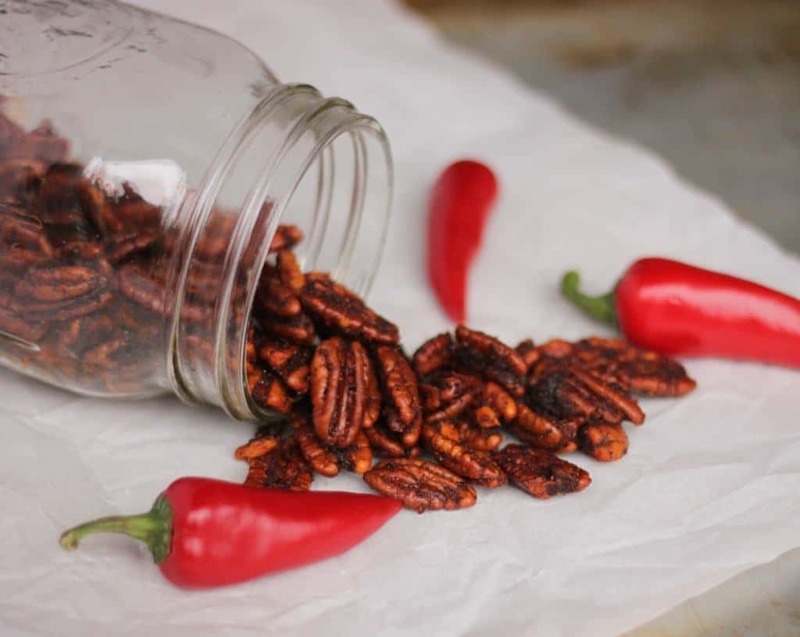 Just a little toast to bring out their warm, nutty flavor, and a little bit of added spice to accent their natural richness is all the pecan needs. 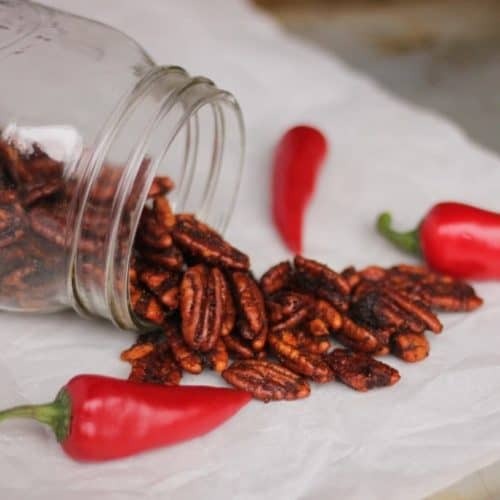 This is how the sweet and smoky chili pecan was born. 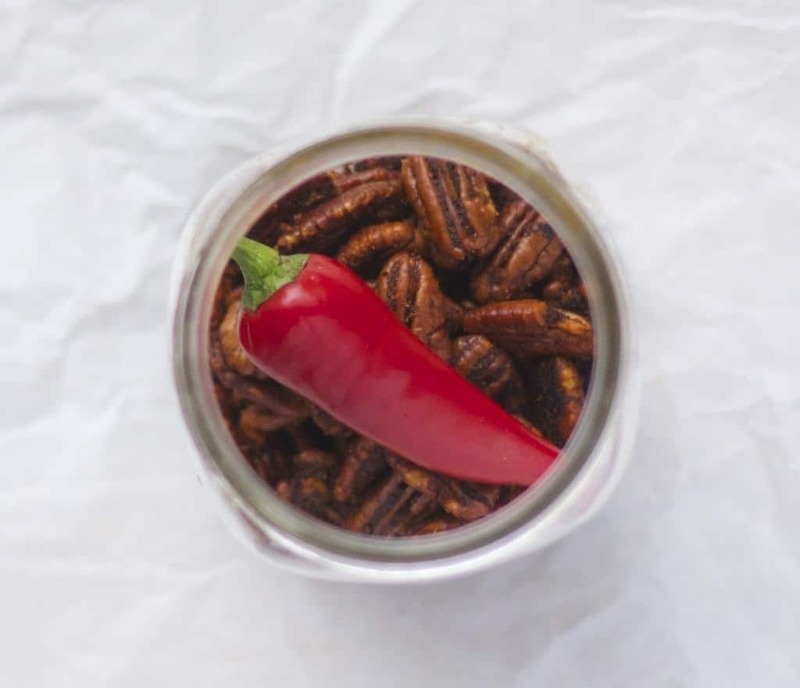 Toss pecans in melted butter. Add the brown sugar, chili powder, smoked paprika and cayenne, and toss one more time to coat. Spread the mixture onto a parchment lined cookie sheet, and bake for 20 minutes. Serve warm or room temperature. 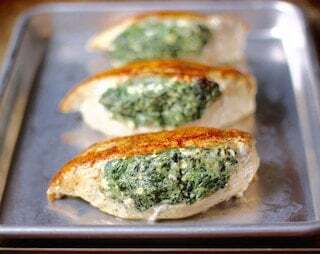 Great as a party appetizer, snack, salad addition, or gift! 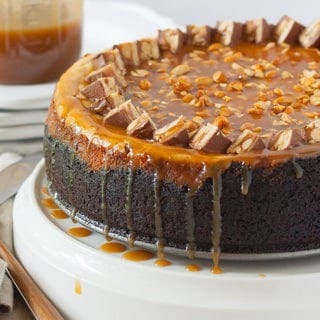 I’m definitely going to have to try this recipe! Looks awesome!